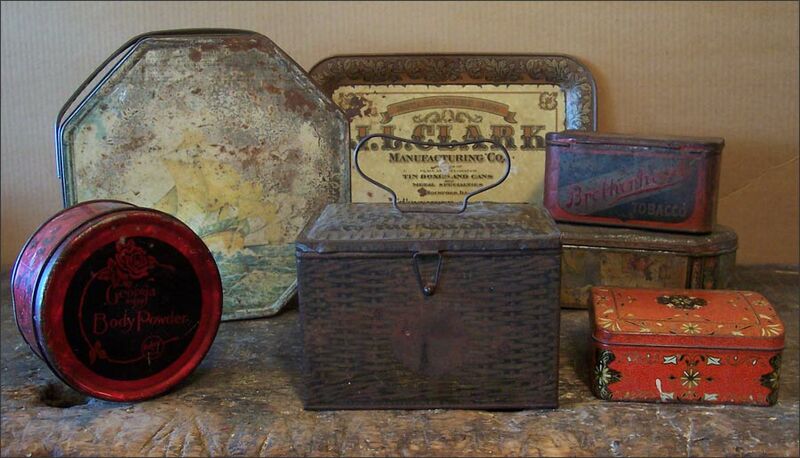 A Collection of 6 Antique and Vintage Decorative Metal Tins, and One 1979 Metal Tray Commemorating J.L. Clark’s Manufacturing of Metal Tin Boxes and Cans. Offered as a Set, and Includes: Clark Metal Tray, 1926 Georgia Rose Body Powder Lidded Tin, Loose-Wiles Biscuit Tin, 1890-1900 Holmes & Coutts Tin, Brotherhood Tobacco Tin, Homer Hinged Lid Tin, and Patterson’s Seal Tobacco Tin.